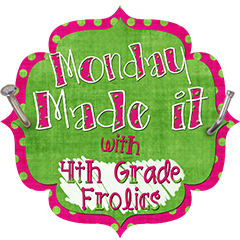 It's time for another link up with Tara for Monday Made It! This week I didn't get a lot accomplished, but I was enjoying the last of my vacation in Tennessee! In my last post, I showed you a green bucket I'd bought at the Dollar Tree. I used my Circut and vinyl to make it my Treat Bucket! I think it turned out cute. I used to have my treats (candy) in a glass jar, but I am using it below. A while back I purchased, printed, and laminated 101+ Totally Awesome Writing Prompts from Katie at Dirty Hands and Lesson Plans. I've been searching for something to store them in and since I got rid of the glass jar for the treat bucket, I decided to use it! ﻿Alright friends, time to go work in my classroom today! Love your containers. Have fun working in your class. So where in the south do you live? 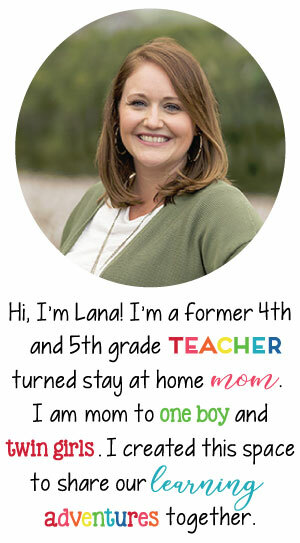 I'm a fourth grade teacher in Georgia. I love the bucket and writing containers! So cute! Thanks for sharing! Love the treat bucket! Will have to find myself a bucket to make one for my classroom. I love both containers! I need to remember to use my old stuff for something new, like you did! Your bucket is SO CUTE! I love it, you did a great job! GREAT idea for the writing prompts! I have them in a ziplock. That's MUCH cuter :) I'm a new follower. I'd love it if you'd stop by my page!